Architects Murray and Hurd of Consett - Proscenium Width 30ft. Circle and stalls. The first cinema in Middlesbrough to have a car park so show changes in mobility. First planned in 1926 but delayed until after the sale of much of Thompson's empire to Denman/Gaumont. Site carefully chosen in the new Grove Hill estate with easy access from Beechwood, Linthorpe and Acklam. 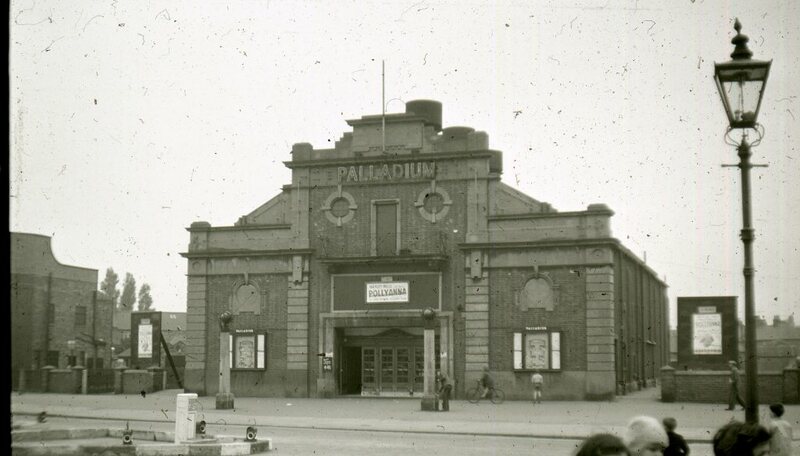 The first Middlesbrough cinema built for the era of the 'talkies". Opened 24th December 1928. Although Thompson was less involved in the business he was seen here regularly as it was only a short journey from his house in Linthorpe Road and must clearly have been a sign that although he had sold most of his empire to Denman he was still actively involved and looking forward. 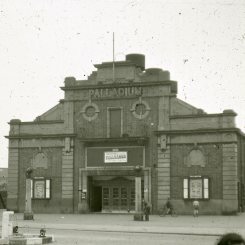 It was the cinema that lead the way in the town to Sunday opening in 1946 ending with a public vote where 22,718 voted in favour and only 6.039 against. in 1954 it was the first Middlesbrough cinema to be fitted with a Cinemascope screen. Next door and still surviving (2015) are The Palladium Buildings, built at the same time as the cinema and containing, as well as shops, the head office of Thompson's cinema business and the registered office of so many of his companies for many years.